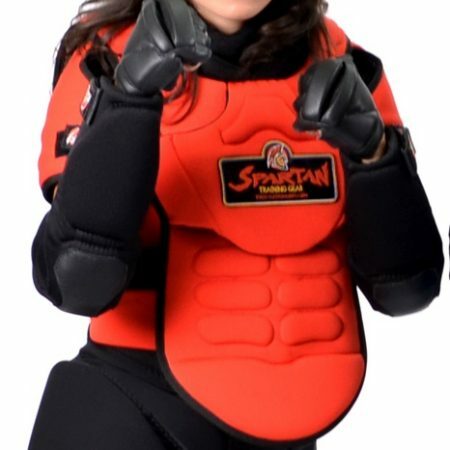 The Spartan Helmet, the handcrafted result of over 75 assembly stages, is truly the next generation of lightweight head and cranial protection. 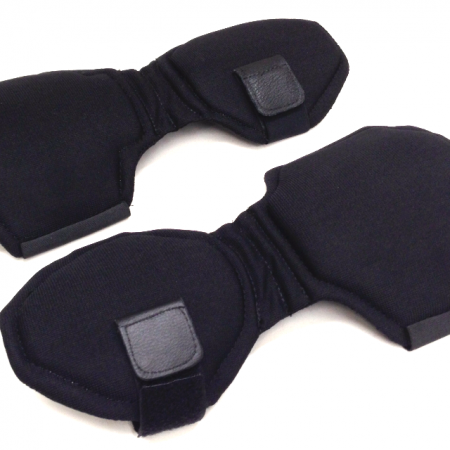 Its custom molded 1/4” plastic core lays the foundation for 1 3/4” of high-density foams and a 100% genuine leather outer shell. Its innovative full-face, low profile design was specifically built to offer maximum protection & visibility while not interfering with your peripheral vision. 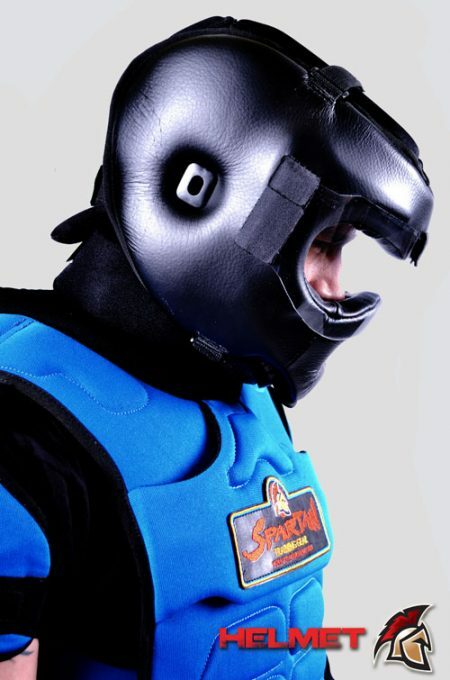 Add to that an extra layer of protection for the eye socket, temple and cheekbone, three open-vent clips for increased air intake & better role-playing with dialogue and seven adjustable straps and you have one of the safest and best fitting training helmets on the market today. 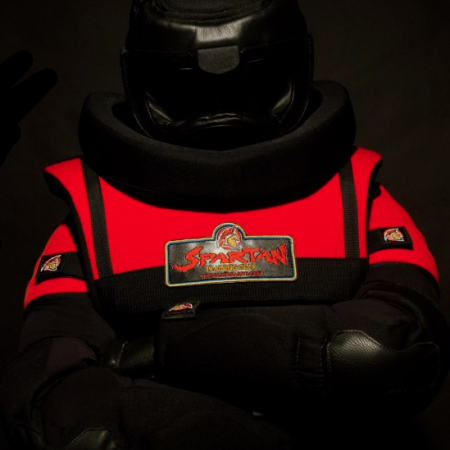 The Spartan Training Armour Helmet is also the only product of its kind that has the versatility to be used during scenario-based, multi-tiered use of force training and is certified* for use with Simunition® FX 9mm and 5.56 man-marking rounds by General Dynamics.